Our client based in the North Rhine Westphalia region of Germany is an SAP Gold Partner software house who specialise in developing SAP Add-On software solutions that increase the transparency of processes and the optimisation of their client’s production processes digitalising existing corporate processes. They are currently looking to hire an SAP MM (Materials Management) Consultant to join their rapidly expanding team. Our client is open to receiving profiles of candidates of all levels from Junior to Senior. 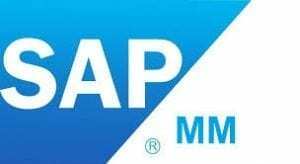 They are open to considering SAP MM Key Users for their junior positions, who are interested in a career change and want to move into SAP MM Functional Consultancy. Full training will be provided. Job Location: you would be based from your home address and travel to customer sites within Germany. * Willingness to travel up to 75% (on average you will travel to customer sites for 3/4 days per week with 1/2 days of remote working from home per week). * Must have a minimum of B2 level German spoken and written. * Must be business fluent in English spoken and written.